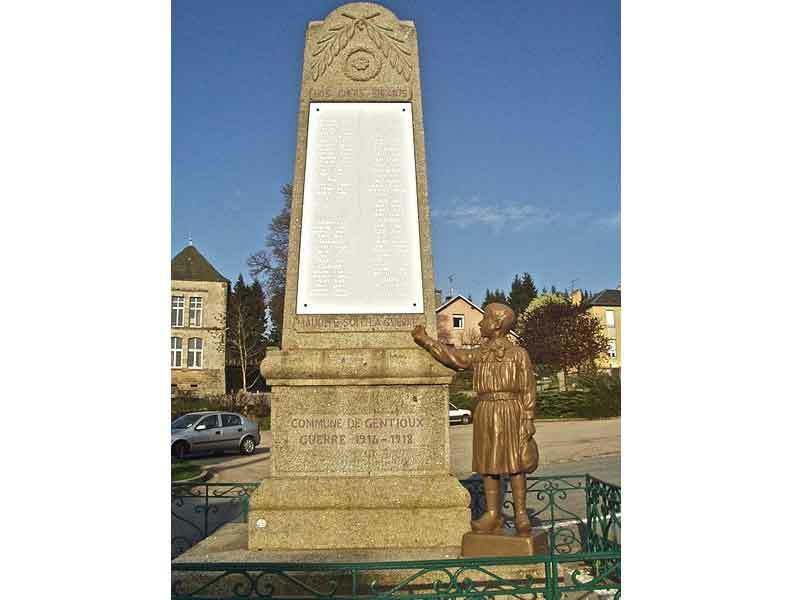 Erected in 1922, below the column which lists the name of the fallen of World War I, stands an orphan in bronze pointing to an inscription ‘Maudite soit la guerre’ (war be damned, or cursed be war.) Feelings ran so high that the memorial was not officially inaugurated until 1990. Soldiers at the nearby La Courtine army camp were under orders to turn their heads when they walked past. The designer, Monsieur Duburgt, a local cabinet maker, said at the time, “Rather than a Poilu, I wanted to translate a cry of the heart. 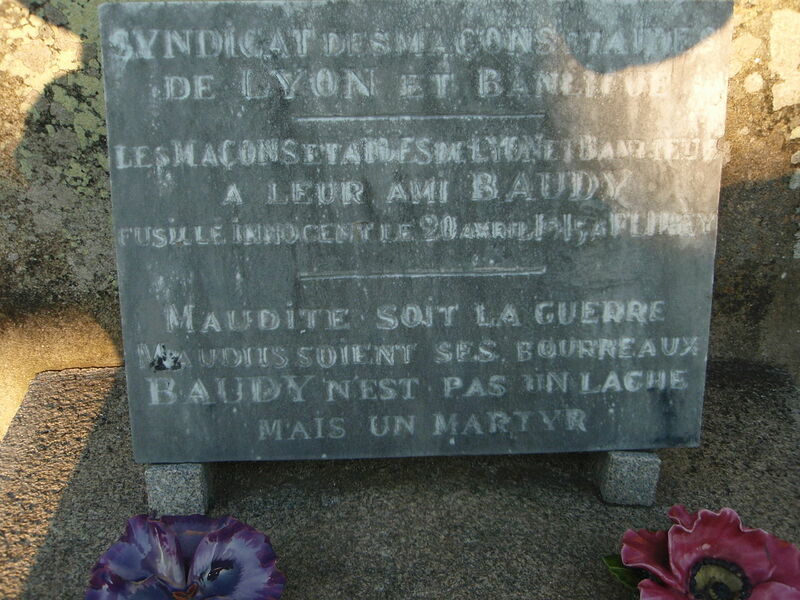 So I drew an orphan, dressed in school uniform, pointing to this inscription engraved in the stone and which was then on everyone’s lips: “Cursed be the war!” (Poilu is an informal term for a French World War I infantryman, meaning, literally, hairy one.) Among the 63 names engraved in gold letters on a white marble plaque are five children.